Who Thought This Was a Good Idea? NPR coverage of Who Thought This Was a Good Idea? 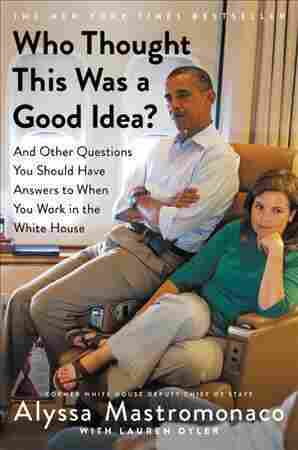 : And Other Questions You Should Have Answers to When You Work in the White House by Alyssa Mastromonaco and Lauren Oyler. News, author interviews, critics' picks and more. The former deputy chief of staff to President Barack Obama presents an intimate, whimsical and admiring portrait of the 44th commander-in-chief while sharing candid advice for today's young women professionals. A first book. 50,000 first printing. NPR stories about Who Thought This Was a Good Idea? April 18, 2017  Alyssa Mastromonaco worked in the West Wing for six exhilarating and exhausting years. She describes that era in her new memoir, Who Thought This Was a Good Idea?